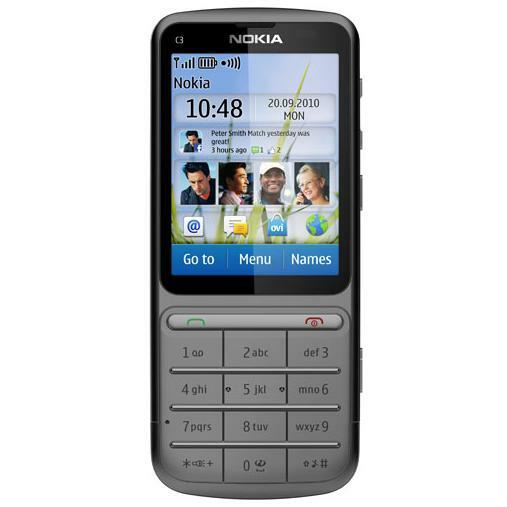 Nokia has recently launched a new firmware update for Nokia C3-01. The 06.00 update for C3-01 brings new swipe features and other performance and usability improvements. This new 06.00 software update comes with new swipe features. You can unlock your device by swiping from left to right. When on the home screen, you can open the Collection view by swiping from left to right, and the Games view by swiping from right to left. To get this software through your device, type in *#0000# on the home screen or go to Device Manager. Select Options > Check for updates and follow the on-screen prompts. Alternatively, this software release is available through the Nokia Ovi Suite. As a reminder, Nokia C3-01 Touch and Type features a 2.4 inch resistive touchscreen with 240 x 320 pixels resolution, 64 MB of RAM and 5 megapixels camera with LED flash tehnology. C3-01 is specially designed for social networks. Nokia C3-01 measures 111 x 47.5 x 11 mm and weights 100 grams.